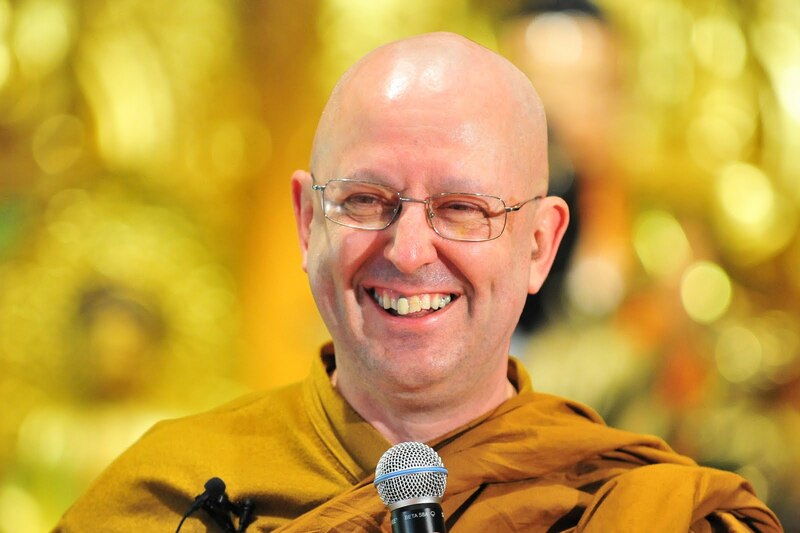 Ajahn Brahm taught in his book, Simply this Moment, “Equanimity doesn’t mean just to endure. Equanimity should always be practised alongside investigation because otherwise it cannot be maintained and will turn into more problems. Equanimity that is practised alongside investigation – especially with pain – means you are not going to try and get rid of the unpleasant physical feelings, nor are you going to just grit your teeth. Equanimity should be done with a sense of interest, with a sense of investigation, with a sense of curiosity, finding out what these things really are. That is a good way of dealing with physical pain: you watch it with equanimity. You watch it in the same way that a scientist needs to watch an experiment, without a vested interest in what they are going to find. Because, if you’re looking for something, if you’re looking to prove your pet theory, then you’ll never have that evenness of mind, you’ll never have the equanimity to be really able to see the truth. You’ll only see what you’re looking for. That’s what delusion is”. “With equanimity you have to put aside all prejudgement and all the past, because prejudgements arise from our past experiences and past biases. Practising equanimity, you have to look upon the object that you find painful as if seeing it for the first time. If you can do that then you really can see that thing clearly and you can investigate it and find out what that pain really means and how it works”. Ajahn Brahm equates equanimity with a sense of curiosity. Let’s say that while meditating, we become aware of a shoulder-ache. We practice equanimity by bringing our attention to the ache and begin to investigate the nature of that ache as if we have to write a two page report on it after our meditation. There are many ways of looking at it. Where does the ache reside? Does it stay in one place or does it move about? Does it come and go or does it persist? Can we call it ‘pain’ or just ‘discomfort’? Is it more painful before or after we started looking at it? Is it a big a deal as we gave it before we started looking at it? Of course, we do not ask ourselves these questions while we are meditating but while looking at the shoulder ache, we will notice such things. Ajahn Brahm once had a toothache which he could not do anything about because he was in the middle of the jungle. He tried to distract himself by chanting and other practices but the pain was just too distracting. He then looked at the pain with equanimity and he was surprised when the pain just disappeared. My late father had a similar experience. He had a toothache and as he meditated, he told the toothache that it can do whatever it wanted; the toothache just faded away. Just a word of caution: If we have a toothache, it will not work if we try to meditate with the intention that it disappears. If there is a desire, the ego gets involved. Instead of looking at the pain, we will be asking ourselves; when will it disappear? Is it fading? Why is it still here? Is there something wrong with my meditation? Am I doing it wrong? Our mental chatter will keep us from truly investigating the nature of the pain. Ajahn Brahm said, “So you have to have some understanding of physical pain and discomfort. That’s body awareness, body contemplation, because that is where that physical pain usually arises. If we can do this – look on pain with equanimity and investigation – we can gain a lot of freedom from pain and the fear of pain. So often pain is fearsome because we never really know it. We are always running away from it, trying to overcome it, never stopping to look at it with equanimity to find out exactly what it is. The Buddha said there are two aspects to pain, two thorns, a mental thorn and a physical thorn. You can take out the mental thorn because the mental thorn is due to wanting, not being at peace with, and not accepting the physical pain. That’s something you can control. Very often you can do nothing about the physical pain. But taking away that mental thorn, that mental dart, is something you can do from time to time. You can pull it out so that you really are looking on with equanimity. As I said earlier, you know you have equanimity in the mind when everything gets peaceful, when there is no struggle anymore”. We can also practice this while doing work that we do not enjoy. We can observe ourselves and the work to understand why we find it unpleasant. Is the work unpleasant or is it just what we tell ourselves while we are doing the work? Housework is a good example. Sometimes it is pleasant and sometimes it’s a pain. Why is that so? Ajahn Brahm said, “We can also practise it with some of the things that we have to do, things we don’t like, things that we disagree with. We can do this to overcome that ‘fault-finding’ mind, which I talk so much about in this monastery. I talk so much about it because it is one of the big obstacles to living happily in a monastery, or in any community; it’s a great problem for living happily and gaining deep meditation. When one is sitting on one’s cushion that fault-finding mind is one of the big obstacles, and you can understand that the fault finding mind is very far removed from equanimity, from just looking on”. “With the fault-finding mind you are dealing with perception. Perception is searching out things to complain about. It’s a fascinating aspect of the mind to be able to see, to be able to capture this essence, because you see that this creates so much suffering and disappointment and problems for you. Why is it that the mind is bent on finding faults? Sure the faults are there, but they are surrounded by things that we can be grateful for, things that we can develop loving kindness towards, things we can be at peace with. Why is it that so many human beings incline towards finding faults? They find faults with their fellows in the holy life, find faults in the monastery, find faults in themselves, find faults in the teachings, and find faults in the meditation cushions. ‘It’s not good enough, they’re too lumpy’. You can see that the faultfinding mind creates work. It creates conflict; it creates things to do; and it goes in the opposite direction to peace”.